When researchers first reported a child cured of HIV, they were baffled! The fact that he was reportedly cured just 30 hours after his birth led to immediate skepticism that the child had been infected in the first place. Basically, much of the scientific community thought this was too good to be true. But now, on Wednesday, the existence of a second such baby was revealed at an AIDS conference – making it pretty clear that we are in fact dealing with a treatment with huge potential. In fact, scientists are so thrilled by this prospect, that they will “soon” set up a clinical trial in which up to 60 babies who are born infected will be put on drugs within 48 hours. 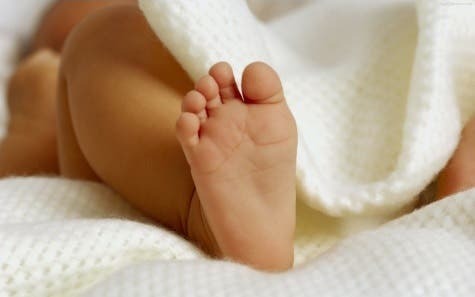 After the treatment is applied and the babies are monitored for 2-3 years to monitor the effects, a line will be drawn; and if the results are promising, then the protocol for treating all 250,000 babies born infected each year worldwide will no doubt be rewritten. The first case of baby healed of HIV is already famous – the “Mississippi baby”, people call him/her (that information hasn’t been released yet). The case was really weird; after the treatment, the mother just stopped reporting in with the child, and as it later turned out, she also stopped giving him/her the meds – so it was quite fortunate to ultimately find out that the Mississippi baby was cured of HIV. Today, the child is 3 years old, and still HIV-free. The second baby, a girl born at Miller Children’s Hospital in Long Beach, Calif., is now 9 months old – and still virus free. Her mother, who has advanced AIDS and is also mentally ill, was prescribed drugs for her child, but didn’t take them. Four hours after the birth, a pediatrician, Dr. Audra Deveikis, drew blood for an H.I.V. test and immediately started the baby on three drugs — AZT, 3TC and nevirapine — at the high doses usually administered for the treatment. Considering the mother’s condition, she had to make a tough decision – and apparently, she took the right one. The mother is also alive, and doing relatively well – considering her condition. Hopefully, time will confirm these good news and we will finally have a good HIV treatment for babies.